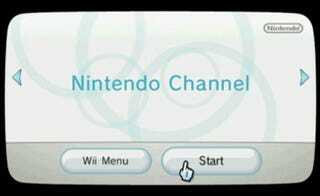 What's the new Nintendo Channel do? It lets you download DS demos. It lets you check out stuff like trailers. Oh, and, if you let it, it'll quietly take stock of your Wii and your gaming setup, then report back to Nintendo HQ with its findings. Some of the information it will share includes your net connection speed, WiiConnect24 settings, TV preferences, daily play habits and even how many Miis you've got saved on your system, all in the hopes of providing you, dear consumer, "with game recommendations and improved future services". Any of you choosing to opt out of the service should be aware that if you do, you won't be able to download those DS demos, which are being kept only for those customers participating in this grand "information exchange".